During and after World War II, Communists and their sympathizers right here in the United States agitated to bolster Soviet interests throughout the entire planet. They went to great lengths to accomplish that goal from their positions of influence throughout the U.S. government, particularly within the State and Treasury Departments. In fact, at one Treasury meeting where pro-Soviet proposals were given the green light, at least six Soviet supporters participated (details below). Indeed, the handiwork of Soviet agents within both the U.S. and British governments helped steer the direction of the post-war world in such a way as to enable the Soviet Union to carry on the European aggression where the Nazis had left off. It was mainly at Tehran and Yalta that U.S. President Franklin D. Roosevelt, British Prime Minister Winston Churchill, and Soviet dictator Joseph Stalin laid the groundwork for the post-war map of the globe. As explained in our last visit in this space, the Yalta Conference was where Alger Hiss, a cunning Soviet agent within the U.S. State Department, filled a void left by an inexperienced Secretary of State Edward R. Stettinius and by a sick, dying FDR (who even in his better days took an all too-trusting view of the Soviets). Hiss was very helpful – to Joseph Stalin. As explained in Stalin's Secret Agents, Alger Hiss somehow rose "from obscurity to become the custodian of all memoranda for the President on topics to be considered at the summit." 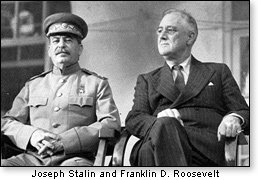 As observed by authors M. Stanton Evans and Herbert Romerstein: "[N]ot bad positioning for a Soviet agent whose nominal chieftain, FDR, would soon be meeting with his real one, Stalin. Although Tehran and Yalta were the most important of the World War II gatherings, some key decisions came out of bilateral meetings where Roosevelt and Churchill met to outline what was to be done after the Wehrmacht of Hitler's Germany would meet its anticipated downfall. The first such conference was held in Casablanca in 1943. It was there that President Roosevelt issued his "unconditional surrender" slogan. 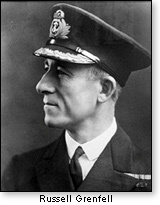 A British naval officer, Captain Russell Grenfell, would later write in his 1945 book Unconditional Hatred that the threat served no purpose other than to stiffen Nazi resistance and arguably lengthened the war and cost more innocent lives in the process. Not incidentally, that would serve Stalin's interest by providing Soviet troops more time to push westward so as to claim equal credit with the Western allies in conquering Germany. The Quebec II Conference of Sept. 1944 (Quebec I was in 1943) was where FDR and Churchill would sign off on the Morgenthau Plan, named for Treasury Secretary Henry Morgenthau, whose confidante at Treasury was Harry Dexter White, a Soviet agent. The Morgenthau Plan proposed to demolish post-war Germany, and reduce it to the status of an agrarian nation. The end result would be to consign a nation of 70 million people in what had been an industrial society to a condition of mass starvation and likely huge numbers of deaths. Most of those people had played no part in Hitler's evil acts. The very idea prompted shock in military, press, and State Department quarters. Hanson Baldwin, longtime military specialist for the New York Times, would point out that the Nazis had been inclined to surrender to the United States and Britain before the Soviets completed their advance from the East. But coupled with "unconditional surrender," the Morgenthau plan, according to Baldwin, helped redraw the postwar map in Moscow's favor. Evans and Romerstein point out that the plan would have weakened not only Germany, but would have "ensured that there would be no nation on the continent that could hinder the growth of Soviet power." So rampant was Soviet influence at Treasury and other government agencies at the time that critics of Morgenthau's scorched earth scheme were accused by Treasury planners of being "simply afraid of Russia." There is no known record of how many promotions within the bureaucracy were withheld as a result of such apparently perceived verboten suspicions of the Soviet Union. Obviously it was considered heinous to cast the shadow of suspicion of a "noble ally" (FDR's term). That the Soviet government was headed by a mass murderer, who routinely imposed bloodbath "purges" and intentionally-created famines was ignored. 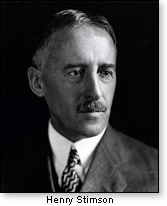 Secretary of War Henry Stimson emerged as the lead critic of the Morgenthau Plan. 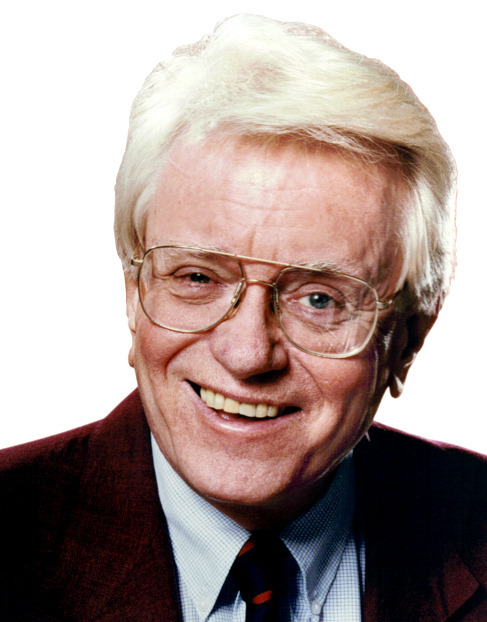 For that, he was roundly denounced by such pro-Reds as Harry White and Joshua Dubois. Secretary Morgenthau's diaries reflected a point of view that leveling Germany to the ground was well worth whatever the cost in human suffering. "I don't care what happens to the population," he said, "I would take every mine, mill, and factory and wreck it." First was the issue of turning German prisoners over to the Soviet Union for slave labor, supposedly as reparations to the Soviets. International codes frown on "mass guilt" as appropriate vengeance. Aside from that, as the Soviets ousted the Nazis from governments all across Eastern Europe, their occupation practices were also inhuman (and would last longer). 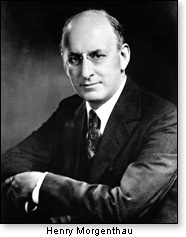 Secretary Morgenthau was given to heaping fulsome praise on the high efficiency of his "team." Authors Evans and Romerstein, in Stalin's Secret Agents, see that as a logical occasion for naming influential members of that hard-working "team." They were Harry Dexter White (previously noted); Soloman Adler; Josiah Dubois; Sonia Gold; Harold Glasser; and William H. Taylor. Other pro-Reds not present on this occasion but who had also worked on the project were V. Frank Coe and Irving Kaplan. At the Quebec conference where the ideas were approved by both Roosevelt and Churchill, the chief opponents of the Morgenthau plan were not present. They were War Secretary Stimson and soon-to-be-departing Secretary of State Cordell Hull. Morgenthau, thrilled to prevail over the other two cabinet officers, was very much in attendance, as was Soviet-supporter Harry Dexter White. Those approved plans included abolishing German industry. The ultimate goal would be to convert Germany to a virtual cow pasture, surrounded by mass starvation and death. "[A] country primarily agricultural and pastoral in its character" was the way the document was worded. Secretary of War Stimson was so outraged by the plans being crafted that he took his complaints directly to President Roosevelt himself. As Stimson read aloud the wording of the agreement, according to the Stimson memoirs, "the president was frankly staggered by this and said he had no idea how he could have initialed this; that he had evidently done it without much thought." Churchill knew very well what he was signing. At first, he rejected it as "unnecessary, unnatural, and unChristian." But he was subsequently brought around to signing off on the plan when Treasury promised a loan of $6.5 billion for his financially crippled Britain. Churchill would later explain that if he had to choose between the people of Germany and the people of England, he would choose the latter. History tells us that because FDR backed off, the Morgenthau Plan was abandoned. Alas, this appears to be another case where so-called "history' distorts real history. It seems that while Secretary Morgenthau had not learned the lesson of the price that was paid for the openly-stated policy of vengeance that was imposed at the Versailles conference after World War I, more politically attuned elements in the U.S. government had been chastened by that experience (sort of). It was thus decided to accomplish the proposals' essential goals more or less undercover. Authors Evans and Romerstein see "ample reason" to believe that despite the pro forma repudiation, the main components of the program "kept grinding forward," de-emphasizing the idea of vengeance for the sake of vengeance. The dismantling of German industrial plants (and shipping them to the Soviet Union? – WV) – was described as "reparations." By 1948, the ideas for which Stimson had been ridiculed became conventional wisdom. President Truman, the much-reviled 80th Congress, and Western Europe saw the need to bring post-Nazi Germany back into the "family of nations" at the doorstep of the Iron Curtain. The idea was to prevent the realization of Stalin's (finally generally evident) dream of a Sovietized Western Europe. But as we have witnessed in the ensuing decades, the Soviets had other targets to conquer – again with the unremitting infiltration of the U.S. and other Western societies. More later.